National organization composed of more than 200 local non-profit tree planting organizations that have planted 15 million+ trees nationwide with the help of more than 5 million volunteers. ACTrees supports the needs of communities, nonprofits, businesses, and others engaged in urban forestry. 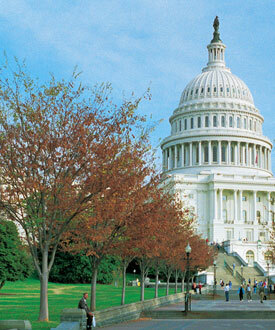 ACTrees provides guidelines for creating an effective urban forestry advocacy program. Who’s Who in your state/territory? Alliance for Community Trees provides a comprehensive, state-by-state listing of ACTrees member organizations, state foresters, State and Urban Community Forestry coordinators and councils, and regional coordinators and program managers. Provides Canadians with education, technical expertise and resources to plant and care for urban and rural trees. With a stated goal of “growing better places to live,” the volunteer-driven organization has planted more than 78 million trees and greened more than 530 schoolyards during the past 20 years. Oregon Community Trees promotes healthy urban and community forests through leadership, education, awareness, and advocacy. A Keep America Beautiful initiative that is integrated with its other civic beautification initiatives, providing a national stage for the important role that greening and tree planting plays in our communities. More thank 170,000 trees are planted annually. A national organization that “inspires people to plant, nurture and celebrate trees.” Sponsors of Tree City USA, Tree Campus USA, Nature Explorers and other programs including Partners in Community Forestry. A national conference that gathers urban forestry advocates together to address and serve the changing needs of the urban forest community. The 2013 Conference will be held November 6-7 in Pittsburgh, PA. The nation's oldest urban forest council leads the way in sustaining and expanding California's urban forests to make our communities healthier and stronger. Their work influences national policy, too, and is a good model for others to emulate. A grassroots action site driven by the California Urban Forest Council. The campaign shows Californians how investing in trees and green spaces creates great neighborhoods. Tools and resources including an op-ed template and fact sheets that detail the value of trees are useful to tree advocates far beyond California’s borders. Pioneering non-profit tree planting organization based in Visalia, CA, that provides services and programs to benefit the urban forest. Specifications and guidelines for selecting quality trees are especially useful. The SUFC is an assembly of national organizations working to advance a unified urban forest agenda for our nation's communities. Members include city planners, educators, landscape architects, non-profit leaders, scientists, arborists, foresters, nurserymen and women, and many other professionals who care for, monitor and advocate for trees and urban forests. SUFC members work collaboratively to bolster and unite on-going urban forestry efforts. They empower communities of all sizes to fully realize the benefits of “greener” and healthier neighborhoods. Since 1990, American Forests’ Global ReLeaf program has planted more than 40 million trees to restore forest ecosystems in every state across the U.S. and more than 38 countries around the world. Through local partnerships, mobilizes tree-planting projects that restore local and global ecosystems. Promotes nationwide beautification through education and community involvement by encouraging the use of flowers, plants, trees, and other environmental and lifestyle enhancements. J. Frank Schmidt Family Charitable Foundation supports its mission via yearly sponsorship of the AIB Urban Forestry Award. An organization of municipal arborists, urban foresters, consultants, commercial firms and citizens who actively practice or support municipal forestry. A worldwide membership of more than 20,000 arborists, city foresters and tree advocates promotes the professional practice of arboriculture and fosters a greater worldwide awareness of the benefits of trees. The International Society of Arboriculture manages this educational website that provides the public with quality tree care information. The premier resource for gardens and landscapes that promote health and well-being, the center is dedicated to gathering and sharing information about restorative landscapes, healing gardens, wellness gardens, community gardens and research-based healthcare design. Now in its 135th year, the ANLA is the national trade association for the nursery and landscape industry. J. Frank Schmidt & Son Co. and our fellow members grow, distribute, and retail plants of all types, and design and install landscapes for residential and commercial customers. A sponsoring partner of the Sustainable Sites Initiative, ASLA’s stated mission is “to lead, to educate, and to participate in the careful stewardship, wise planning, and artful design of our cultural and natural environments.” ASLA invites you to raise your voice for trees and green infrastructure by joining their national Campaign for Green Infrastructure. Do we really need that parking lot? This is a good site for exploring the value of parking lots, and suggests ways to integrate them into public spaces that are people-friendly rather than auto-centric. Two Portland-based volunteer organizations take up their sledgehammers and wield their political muscles to turn asphalt into green spaces, and pavement into paradise. Tree planting advocates are among the hundreds of citizen groups whose actions are being mapped in order to visualize stewardship activities across the urban landscape. New York City, Chicago, Baltimore and Seattle are that first four cities to be part of this project.